Airbags, while they have proven beneficial in preventing road deaths, have also been a thorn in the side of the industry and regulators. The devices have been prone to blowing up during a standard deployment. As they explode, the airbag inflator housing shatters, flinging shrapnel throughout the passenger compartment. Let’s look at some background on this. Here is more information about this recall. The year 2015 was a big one for the auto industry. No, it wasn’t big as in “hooray, hooray” as the National Highway Traffic Safety Administration (NHTSA) had once again found its authoritative ruling voice. It was a time when the NHTSA came down hard General Motors as it tried to hide a key snafu on its compacts. The agency also didn’t pull any punches as it fined Honda and Fiat Chrysler Autos for their slow reporting. And, it was the year when the agency told Takata to recall four of their major airbag lines because they tended to blow up on deployment. You would have expected them to explode when they deployed because that was what they were designed to do. The devices were designed to sense accidents of more than five mph. If they did, they were to deploy. All of this took place in milliseconds, and the bags deflated by you knew what had happened. But, there was a problem with Takata airbags. On deployment, a number of them fired with too much pressure – the result of airbag propellant becoming contaminated with moisture. Over time, the amount of deployment force grew a whole lot (researchers would call this almost exponentially). In all of this, though, there was a problem. A climate of good old boy cronyism and super-company protectionism had grown up, as well. Indeed, many middle management types and senior engineers knew they had a problem with at least four of their lines of airbags. And, they knew that the fuel they used was also problem-filled. Finally, there was a climate of secrecy – they would tell no one of the problems, even though people were being injured or killed. Ultimately, they were found out and the scion of the founder – a grandson – was forced out of the company. The company couldn’t take the strain of the constant recall, and they went bankrupt, only to be bought up by another firm. To say that this issue is troublesome is putting it mildly. Beginning in 2008, Takata faced the first of many recalls. Indeed, a second recall that year was needed because the first recall was no good. And, recalls continued into 2010, 2011, 2013, 2014 and so on. Each time, the body of cars grew by millions of vehicles. It is estimated, in fact, that by the time this recall has ended some recalls will touch some 55 million cars. The number of airbag propellant containers and devices will likely be in the 70 to 90 million range. Some models, in fact, have had to be recalled two and three times before the replacements have had the desired effect. More important is the fact that there have been 20 deaths linked to exploding airbags to date. And, more than 185 drivers and occupants were seriously injured. There have been some mysterious clusters of the airbags as well with five persons died in Malaysia, as well as a bunch of early Honda Civics and Accords that had failure rates in the 55 percent range. No manufacturer has been immune. At the start, the recall involved only 11 automakers, however, by the time nearly two decades had passed with no resolution – now – it is up to 22 manufacturers. And, manufacturers have increased the number of cars, as well. For example, Volkswagen has added 2,564 2003 vehicles to its recall list. When the front driver’s airbag deploys, it is possible that the force of the deployment will cause the entire airbag enclosure to turned into shards. In turn, the shards scythe through the interior of the vehicle harming the front seat passenger and the driver. The fix, according to the NHTSA, is replacing the airbag inflator unit. The repair will be free of charge. It is expected to begin Aug. 12. 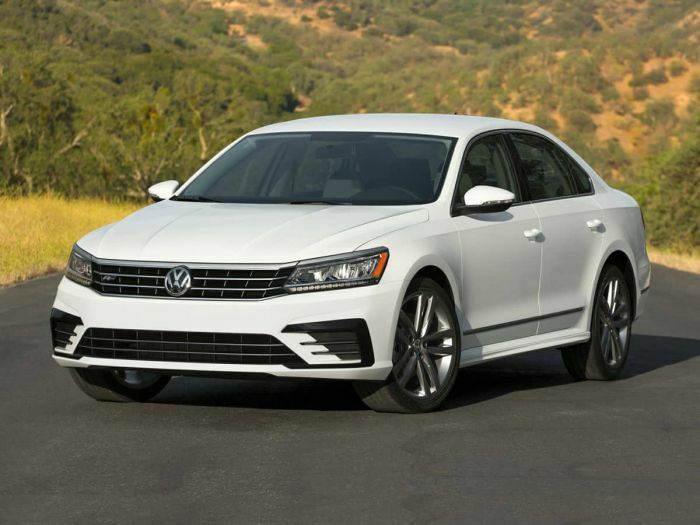 For more information, owners can contact VW Customer Service at 800-893-5298. The VW internal number for this recall is 69X3. Or, owners can contact the NHTSA Vehicle Safety Hotline at 888-327-4236. Or, they can contact the agency at Here is the NHTSA website. The number is 18V406000.